Still time to pop down and see us at Food Expo! The team are ready to say hello! 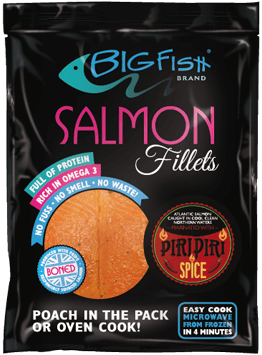 Cast your vote for a brand new BigFish flavour! The BigFish Brand team is down at Food & Drink Expo in Birmingham this week. 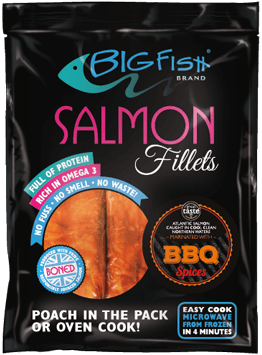 Come down and cast your vote for a new flavour in our marinated salmon range! It's been busy for the team this week at Food & Drink Expo 2018: we've cooked up hundreds of samples from our lovely range of salmon products and voting has been brisk in our poll for a new Salmon Flavour! So far, it's neck and neck between Hot & Spicy and Teriyaki. So don't miss your chance to taste and have your say in the vote, we'll be here until the close of the show tomorrow. All rights reserved. © 2019 Big Fish. 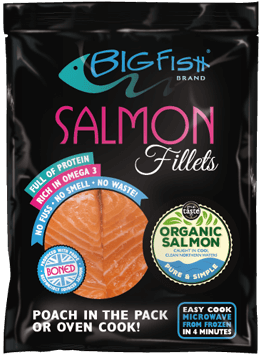 BigFish™ Brand is the trading name of JCS Fish Ltd. Registered in England & Wales: 04075067. VAT No: GB 746 2005 54.